Katie Switzer is a Reliability Engineer and ISO Category III Vibration Analyst who works with plant operations and maintenance to improve their equipment uptime and reduce maintenance costs. Katie specializes in rotating equipment Predictive Maintenance program development, and has worked in several industries including nuclear power, aerospace and chemical manufacturing. Most recently, Katie was a Rotating Equipment Reliability Engineer overseeing the rotating equipment commissioning and reliability program development at the first greenfield fertilizer plant in the United States in 25 years. She now holds the role of Senior Reliability Engineer at Addivant’s chemical additive manufacturing plant in Morgantown, WV. 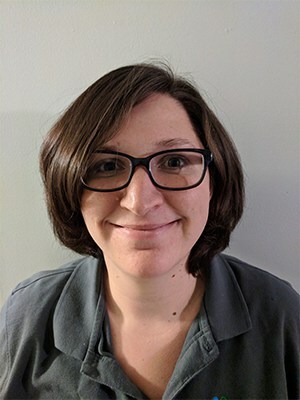 Katie is available to provide technical program audits and suggestions for the development or improvement of Reliability Centered Maintenance programs. She is especially interested in working with clients on Engineering and Maintenance training and cultural improvements. I contribute to Accendo Reliability through a weekly column. The goal of this column is to bring awareness and solutions to common challenges technical people face in the workplace. New articles will post every Monday. I look forward to sharing some stories and advice in this column. Hopefully, you will find some comfort and maybe even inspiration in the idea that none of us are perfect, there is always an opportunity for improvement, and that the first step towards self-improvement is the ability to laugh good-naturedly at yourself. I would like to hear about topics you are interested in. Please take the time to post suggestions in the comment section so I can ensure that the column contents will be aligned with industry needs. Thank you in advance for your support.